Ok so here is a bunch of tips and hints to assist you in your storing and moving. Its not an original creation but hey we know you probably wont read it all anyway. Hopefully you will see a few things listed here that will really save you time and energy as well as ensure the proper care of your goods. Check out our Box Shop for all these supplies. Protect fragile items by wrapping individually in butcher’s paper or bubble wrap, and labelling cartons ‘fragile’. Don’t place fragile cartons at the bottom when storing – top-load only! Protect clothes by ensuring they are packed clean and ironed and with cedar blocks (or other anti-moth products) in our Self Storage clothing and linen bags, port-a-robes or tea chests. Books should be packed flat so that the spines won’t break, and always in small boxes specifically designed for book storage. Never pack fragile items with books! 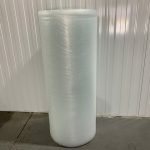 Separate your goods in self-storage with felt blankets, cushions, cardboard or bubble wrap both while moving and in storage. This prevents rubbing and damage from compression over time! It’s a good idea to give your mattresses, couches, boxes and valuables extra protection by positioning soft cloths or cardboard underneath them. Always enclose soft furnishings, especially couches and mattresses, in our special plastic covers before moving. It could be raining on moving day, so these items are protected during transport – and in storage! Cleanliness is critical and we work very hard to create a clean environment. For your protection, we recommend food crumbs and stains be removed from clothing and soft furnishings before storage. DO NOT store anything that could attract vermin. Food of any description must not be stored – this includes wheat bags, dried flowers, etc. Don’t risk attracting uninvited guests into your Self Storage unit – and everyone else’s! Fridges, freezers and other white goods should be thoroughly defrosted, dry and clean before storing. Always move and store your Fridge in an upright position as laying a fridge on its side could damage it. Remember: Keep fridge doors slightly ajar during self storage, and leave a deodoriser – such as a box of baking soda – inside to maintain freshness. Protect the shelves and structure of your furniture by emptying wardrobes, cupboards and drawers while moving. Refill when in storage. Looking to access any of your goods while in storage? What about that ladder or leaf blower? If so make sure that you pack these items into the truck first so that is will be packed into the unit last (near the door for easy access). Plan your self storage space carefully. Place protection on concrete floors for mattresses, soft furnishings and books, use all space available – especially height, and place frequently accessed goods near the door! Store large or heavy items towards the rear of the unit so that use can use the as a base to stack upon then pack towards the front and top of the unit with lighter more fragile items. Try to store longer items (such as mattresses, beds and tabletops) along the walls – this provides these items protection and generally allows for more items to be packed into the unit. Remember to store important documents (passports, bills, invoices and guarantees) into one box, clearly marked and place it near the door for easy access. Where possible, store couches (with the exception of sofa beds) on their ends to maximise space – but remember to cover soft furnishings like couches and mattresses with our purpose-designed plastic covers. Need supplies? Check out our Box shop. Wrap mirrors and fragile pictures with bubble wrap or use special mirror boxes – and never store these items flat! Always place mirrors in an upright position and protect them by securing them between softer items such as mattresses or bed-bases for extra protection. Need protection? Check out our specials here. 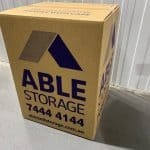 When packing for storage, label all boxes on all sides for easy visibility when you come to access your goods in storage. Keep refrigerators clean and ensure that the doors are slightly open when storing otherwise mould will build up and cause odour! Make sure that all water is drained from washing machine hoses and ensure that freezers and fridges have been completely defrosted. This will stop your goods becoming water damaged! When packing your storage unit, make that everything is stacked safely and securely – and not too high. Falling items break – and more importantly can injure you or others! The space inside wardrobes, cupboards, desks, fridges and other items can be used to store items, adding valuable extra space inside your storage unit. Do not underestimate the number of packing boxes you will need for self storage! Start packing early so that if you run out of packing boxes or tape you can easily buy more with plenty of time to spare. Need boxes? Check out our specials here. When packing your boxes for self storage, ensure that you carefully use all the space inside the box. Boxes with spare space or boxes with too much packed inside burst or collapse. Pack empty space with butcher’s paper or spare linen to prevent boxes collapsing! 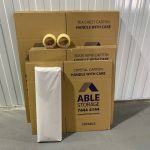 Use the same sized boxes for easy stacking, and make sure that you use packaging boxes designed for packing and storage as they will be strong enough for packing and stacking in your storage unit. Need boxes? Check out our specials here. Seal boxes completely with box packing tape to keep out dust and to strengthen when stacking for storage. Pack books and other heavy objects into smaller boxes for easy lifting. Specifically designed book and wine cartons are perfect. Keep under 16kg and stack the heaviest boxes at the bottom. If you need to store clothes, Port-a-Robes (temporary closets) are perfect to take your clothes on hangers from wardrobe to box with your precious clothing stored on hangers. And the unused space at the bottom being very useful for storing shoes! Who can’t use some moving tips when they’re packing up their whole life for a new home? If you’re among thousands of people who have picked up and moved their family to a new home or a new community, you have fresh memories of some of the ups and downs or thrills or frustrations of moving. Moving may not be the most fun you’ve ever had, but planning ahead will go a long way toward making the process bearable. At ABLE Self Storage and Removals we hope we can help you make the journey as “uneventful” as possible. Drawing from personal experience, We know there are lots of ways to help make your household move easier and more smooth. This is just a brief list but we hope it will help you to get your life, and your possessions, organized for a peaceful and exciting move. Don’t make me say this twice– you’ll need LOTS of boxes–probably more boxes than you think, and having enough boxes will make your life easier! Have about 10 boxes set aside to use for last minute items on moving day, such as bedding, clothing, and cleaning supplies. You’ll need strong plastic packing tape to close up the boxes securely. Use unprinted newsprint (newspaper can stain your items) or packing paper or bubble wrap to wrap and cushion household good. Again, you’ll need lots more supplies than you think, so get extra so the packing can go smoothly. Be sure to utilise our Box Shop we can help you with all these needs. These tall boxes are perfect for bulky, lightweight items such as comforters, pillows, and blankets, as well as clothes that need to remain hanging. Then measure the clothes in your closets (including coat closets) to see how many wardrobe boxes you’ll need. You can also use them for closet storage boxes, shoe boxes, and other bulky items such as fabric bolts, large baskets, or gift wrap tubes. Don’t make the boxes too heavy to lift. Get things organized as early as possible. A few days before your move, fill some sturdy handled shopping bags with bulky closet items such as shoes, sweaters, belts, and jeans. On moving day, fill the bottom of the wardrobe boxes with some of the shopping bags, then add your hanging clothing. Pack hanging items tightly so things won’t move around and fall off of hangers. 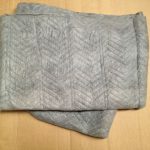 Finally, cover the shoulders of your clothes (a dry cleaning bag works well), then add a few purses or sweaters on top. You’ll have fewer boxes, and closet items remain together. Also, the shopping bags will make it easier to retrieve your belongings from the bottoms of a tall wardrobe box. Designate a color for each room in the new home, such as yellow for kitchen, orange for dining room, etc. Apply colored stickers on the box near the box number. In your new home. Put a matching sticker on the door to each room. The movers will then know where to put everything when they arrive at the destination. It’s also helpful to post a big sign on the wall in the room where you want boxes stacked, (“Boxes here please”) to keep them out of furniture and traffic areas. Keep bookends with books, light bulbs with lamps, and extension cords with appliances. Small, loose parts can be attached to the item they belong to with tape or placed in small envelopes — to keep picture hooks with pictures, shelf brackets with a bookcase, a special wrench and bolts with the wall unit. Keep larger corresponding items (such as a cable TV cord) in resealable bags, and tape these to the underside or back of the item. As a backup, have a “Parts Box” open on the kitchen counter and fill it with cables, cords, parts, pieces, brackets, or nails that are removed from any items of furniture. Keep this box with you, or mark it well with a rainbow of colored stickers so it can be easily located on move-in day. Fill luggage and duffle bags with clothing, sheets, towels, and paper goods. Even for local moves you’ll be able to quickly spot your navy suitcase holding your favorite sweaters, whereas “Box #189″ might remain elusive for some time. Your list of “important” papers might include: birth certificates, school records, new job contacts, utility company numbers, recent bank records, current bills, phone lists, closing papers, realtor info, maps, and more. Don’t leave these with the mover. Keep them with you as chances are that one important document you will need is “buried” at the front of the truck. Use clearly labelled boxes, one for each person. Let each family member fill theirs with items they’ll want ‘right away’ in the new home — a set of sheets, a towel, a couple of extension cords, a phone, nightlights, address book, pens and paper, keys, kleenex, and travel cosmetic case, and so on. Plan and pack your self storage space carefully. Leave air space around the perimeter to aid ventilation. Place protection on concrete floors for mattresses, soft furnishings and books. Do not lean items against walls. Use all storage space available especially height, and place frequently used goods near the door. It is a good idea to position soft cloths or cardboard underneath mattresses, couches, boxes and beds to keep them protected. Long items such as mattresses, beds and table tops should be placed on their edges along walls. Need an item?, pack it into the truck first so it is removed last and will be near the door for easy access. Store all important documents, passports, bills, invoices, guarantees and easy to lose items like glasses, keys and remote controls in one box. That way you will know exactly where you can find them. Leave the box near the door of your self storage unit. Totally enclose mattresses and soft furnishings with our specially designed Mattress and Lounge Covers. Store couches (with the exception of sofa beds) on their ends to maximise space. Wrap mirrors and pictures with bubble wrap or use mirror boxes. Never store these items flat. Place mirrors in an upright position and protect them by securing them between softer items such as mattresses or bed-bases. Label all boxes on all sides for easy locating. Refrigerator and freezer doors should be kept slightly ajar and clean before storing. Don’t forget to use the space inside them for extra storage. Please make sure all water is drained out of washing machines. Ensure freezers and fridges have been completely defrosted. Stack safely and securely and not too high. Falling items can injure you or be damaged. The space inside wardrobes, cupboards, desks, fridges etc. are great to utilise for extra space. Generally speaking items that are considered dangerous will not be permitted in your storage unit. Check with our self storage team if in doubt, however as a quick guide you cannot store combustible, flammable, hazardous or toxic materials such as petrol, compressed gasses, toxic or biological waste, acid, corrosives, fertilizers, paint, cleaners, asbestos, fireworks, explosives, weapons or ammunition. While canned foods can be stored in storage units, perishable food products such as cereals, produce or meats are not allowed. These may rot or attract rodents and other pests. And of course your self storage neighbours will not appreciate the smell! Plants and animals – alive or dead – cannot be stored. We understand that sometimes your pets can be a great deal of work and a source of frustration as well as joy, however your self storage unit is not the place for them. 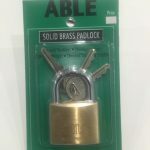 Any stolen items or goods that are illegal cannot be stored at your ABLE self storage unit. We strive to keep your valuables safe and secure, and to protect your privacy – but please keep it legal.